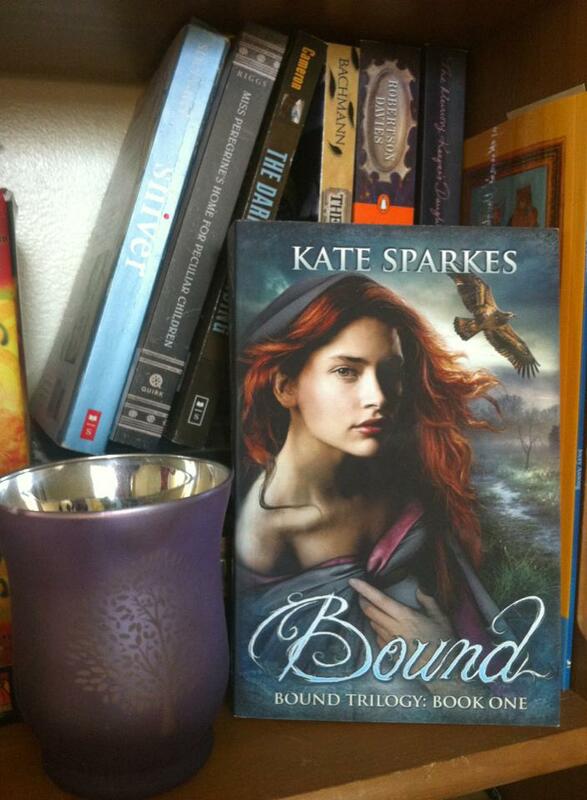 Tomorrow is Bound’s three month… um… bookaversary? That works. Distrgard the Prologue has passed 500 followers (hi, new kids!). The Facebook page has reached 300. Even with overlap, I think that means it’s time to have some fun. I’m giving away a signed paperback copy of Bound to one lucky reader, just to say thank you to all of you for your support. I like you guys. You’re cool. Keep it, read it, share it, give it to someone for a gift… whatever you like. I can’t figure out how to embed this thing, so you’ll need to click on the link below. You earn entries for commenting on this blog post, liking my page on Facebook, and following on Twitter. All of the above, if you want more entries, but just one is fine. Entries are open until October 1. I’ll also throw in a few postcards for you. You can use them as bookmarks, share them with friends, sleep with them under your pillow in the hopes of dreaming of your favourite character… whatever you like. Just a reminder that I’m also running a giveaway on Goodreads, if you haven’t entered that one. So there you go. Have at it. Refer a friend. If I did this thing right, you can tweet every day for more entries. And thank you. So much. This entry was posted on Tuesday, September 23rd, 2014 at 9:27 am	and tagged with adventure, dragon, fantasy, free, giveaway, indie publishing, magic, mermaid, paperback, rafflecopter, romance, signed, YA and posted in books, Bound. You can follow any responses to this entry through the RSS 2.0 feed. Not sure if that reblog counts as a blog comment. Also, I’m editing all of my books, so I’m not going to be reading much beyond those and maybe a comic book or two as a brain cleanser. Did you click through to the rafflecopter? I think you have to claim that you commented. Just did it. I had to come back to the post after seeing that part because it seemed to be a specific question. Good point. Guess I’m too honest. Just checked… you’re entered. And thanks for the reblog! You rock Kate :). Can’t wait for Torn!! I love giveaways!! :) Oh…and in case they check,….let’s see….thinking of rereading Gone Girl soon….perhaps….